It's time again for Tennessee's most delicious weekend. This year's Bloomin' Barbecue Bluegrass festival takes place Friday, May 20, and Saturday, May 21. 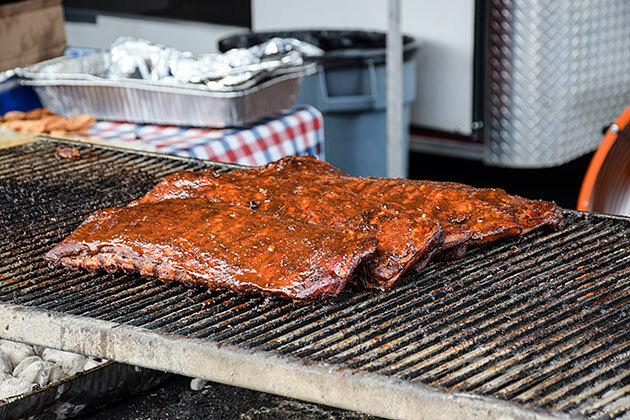 Join thousands of other barbecue lovers in historic Sevierville for two days of music, food, crafts, and fun. This legendary event wins awards year after year, including the Southeast Tourism Society Shining Example Award, Festival of the Year, and — as of 2015 — the prestigious International Festival & Events Grand Pinnacle Award. 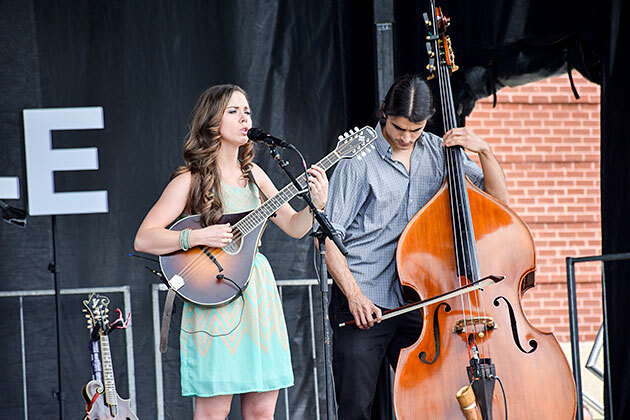 Bloomin' Barbecue & Bluegrass is all about good food and great music. However you like your pulled pork, you can have it and also sample dozens of innovative preparations, sauces, and toppings. While this is a fun event, make no mistake: This is a seriously good-natured (yet fierce!) barbecue competition. In fact, the Kansas City Barbecue Society sanctions the Bush's Best Tennessee State Championship Competition. Visitors can watch the sauce fly as barbecue teams from all across the United States compete for bragging rights. This year the 2015 state champions (Q-Factor, Swiggin' Pig and Warren County Pork Choppers) return to defend their titles against old rivals such as Rocky Top Barbecue, Chairman of the Boar and Hamoflage. Of course, you always need a little bluegrass to go with your barbecue. All new this year are performances from talented bands such as Mountain Faith, most recently seen on America's Got Talent. The best of regional bands take over the Hard Rock Café Community Stage all weekend, and this year's artists include Bobby Osborne and The Rocky Top X-Press and The Church Sisters. Not to be missed is the annual Mountain Soul Vocal Competition honoring the songwriting talent of Sevierville's homegirl, Dolly Parton. Singers from all over the country will perform Dolly Parton songs in their own style as a tribute to the queen of the Smokies. This year's headliners are The Gibson Brothers, two-time International Bluegrass Music Association Entertainers of the Year. Other regional acts include Nightflyer, Jimbo Whaley & Greenbrier, Mountain Ruckus Flashback, and The Bankesters. Burn off your barbecue with a stroll through the Arts & Crafts tents, where you'll find a delightful selection of creations by local makers and artisans. This year's arts and crafts include handcrafted jewelry, handmade goat milk lotion and body-wash products from Gentry Family farm, one-of-a-kind walking sticks and canes by Theo Thudpucker's Walking Sticks, and a fascinating bee exhibit by MoJo Bee Company. Kids will have plenty to keep them busy in the Kids' Zone. New this year are activities by Sevier Air Trampoline Park, alongside yearly favorites such as bounce houses, the Discovery Area, and old-fashioned games at Days Gone By. No Bloomin' Barbecue and Bluegrass weekend is complete without a log cabin and stunning views of the Great Smoky Mountains. Whether you're looking for a cozy cabin for two or a mountain chalet that can accommodate the whole extended family, Volunteer Cabin Rentals has the perfect cabin to help you have an unforgettable weekend.